U.S. Pacific Northwest Destroyed by Earthquake and Tsunami! | Chaos Sweeps Away the World We Know! The Disaster, current events & Catastrophe Blog. Forecasts for 2014 to 2022. Read tomorrows news today! Plus current economic, commodities, stock indices and financial news. ← Will Tokyo Sink Below the Waves Next Week! 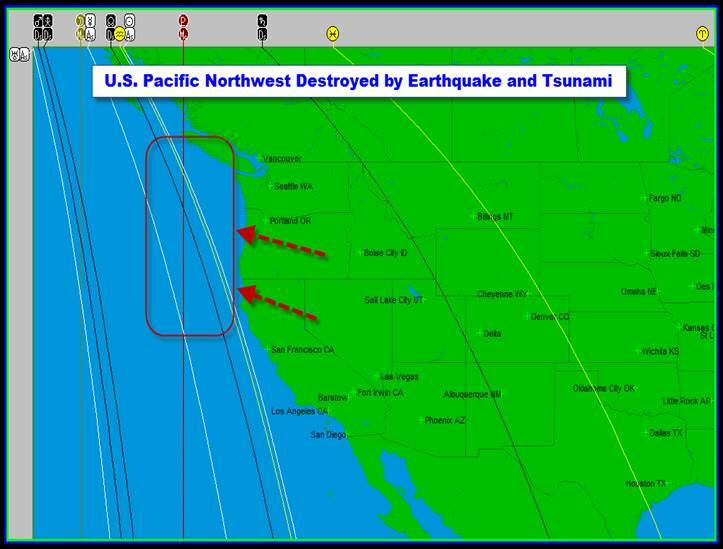 U.S. Pacific Northwest Destroyed by Earthquake and Tsunami! The second astro map shows the same time period only different planetary lines. Mars and Zeus on the MC cut right through The San Andreas fault. Los Angeles is already nervous after the small quake in Brae and a larger one in Northern California. These and other planetary aspects and map lines mean a large 9.1+ event could occur next week. (Credits – Solar Fire Gold v8 and Excel Spread Sheets 2010). This entry was posted in California, Disasters, Earthquake, Events, Forecast, Mundane Astrology, Pacific Ocean, Quakes, Ring of Fire, The Ring of Fire, United States and tagged california, the big one. Bookmark the permalink. 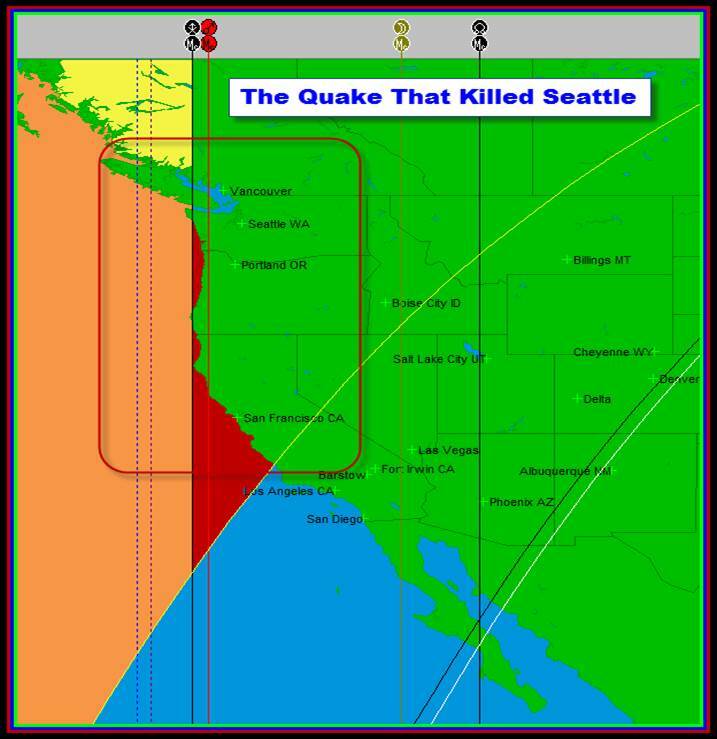 4 Responses to U.S. Pacific Northwest Destroyed by Earthquake and Tsunami! Our planet and solar system is going through a dimensional change and even the elite are powerless to change this. Your post is very good and will happen unfortunately. Ha Bill, whilst those such as myself agree with the potential we shall just have to hunt you down as the perpetrator of the event by grievous majyck if it does!!! Here is to hoping your prediction is incorrect!